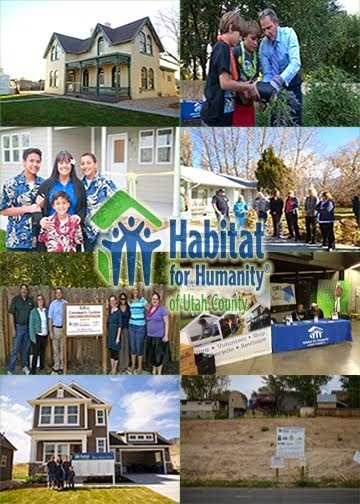 Habitat for Humanity of Utah County: TWO PARADE DAY! Habitat volunteers and partner families (in new Habitat green shirts) participated in two parades on Saturday. 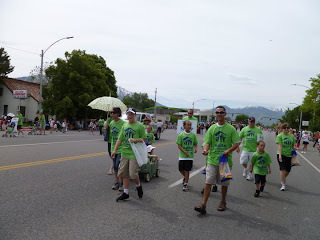 They started their morning at the Springville Art City Days Parade and ended at the Orem Summerfest Parade in the evening. 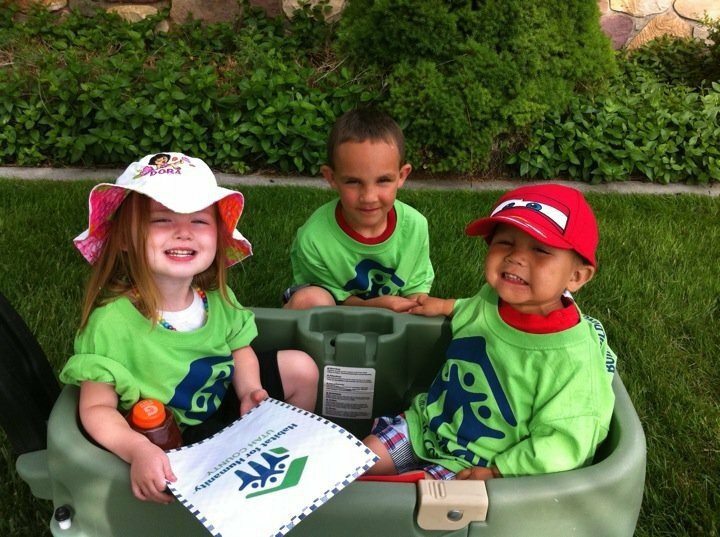 We appreciate everyone's efforts in promoting Habitat with parade watchers throughout our community!